“But it's the left that is stuck in the 90s, not me,” he said at the Herzliya Interdisciplinary Center Monday. 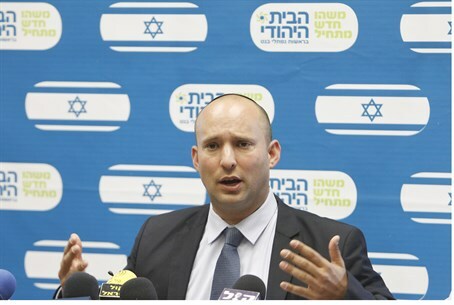 The idea of a Palestinian state in Judea and Samaria is simply a non-starter for Israel, Bennett said. Those who still believed in it after the war in Gaza, during which Hamas was able to significantly interrupt daily Israeli life even from the far south, indicated what would happen if Hamas and other terror groups could do as they pleased in Judea and Samaria. A poll last week by the Knesset channel found that 39% of respondents saw Bennett as leader of the "right-wing" in Israel, giving him the edge over Prime Minister Binyamin Netanyahu. Coming in second, Netanyahu got 28% support, while 20% picked Foreign Minister Avigdor Liberman as their right-wing leader of choice.